One of the most important aspects of education is learning whatever the professors have taught students within the class, or even all the extra research books, papers and notes that students have learnt on their own. In this case therefore, a lot of emphasis is placed on the learning and retention abilities of students. All exams, marks in fact the very grades that a student takes away from a course that they have opted to study, all depends on the kind of learning abilities that they possess. Not only that, the powers of retention that a student can command are just as important because this is actually what helps the student replicate learning and understanding on paper when exam time comes around. One of the biggest myths that hold students back at this point is the misplaced idea that all the powers of learning and retention are inborn rather than abilities that can be cultivated and enhanced by students themselves. Believing this myth means that most students fail to try and improve their memory as well as their power of recalling anything that they have learnt. However, they no longer need to worry. These five simple tips can easily help students learn faster and better so that whenever they need the information, they are able to recall it immediately. What is more, these tips are not so much different learning techniques as ensuring that students improve their mental prowess. Studies indicate that every ten years, humans lose 5% of their brain cells indicating memory erodes as we grow older. The following tips can help counteract that effect. Playing brain games, such as brain teasers, puzzles or riddles can be fun, and is also a great way to keep your brain on its metaphorical feet, allowing for faster thought processes and better memory. Ice cream is one of the most favourite desserts, globally; it is unfortunately not the healthiest food item that one can always eat. Instead, fruits and vegetables along with grains such as oatmeal are all great to help boost mental health. Multitasking may be the new ‘it’ thing, it also happens to be very distracting because students are then trying, and failing, to concentrate on numerous tasks at once. Stick to one task, even if you wish to take breaks in between, but give each work your full concentration. New skills, most popularly, learning a new language is one of the best ways to utilise all your brain cells and ensuring that they stay in excellent working order. Sleeping and resting is just as important as anything else and that, once done, allows students to start new tasks, including learning with a fresh mind and great attention! Finally, learning does need time and attention. Students, working on lots of essays, rarely have that sort of time on their hands. 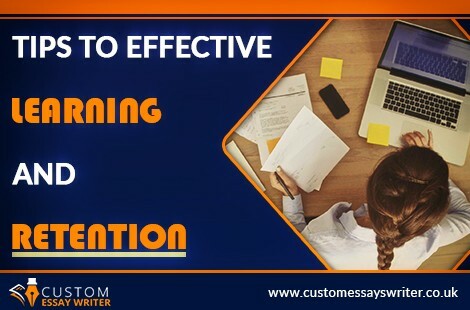 Getting help from Custom Essays Writer allows students to get essay writing help and gives them more time to learn their work also!